Nicholas Hoult and Lily Collins star in Dome Karukoski’s atmospheric biopic of J.R.R. Tolkien, the enigmatic author of The Hobbit and The Lord of the Rings. 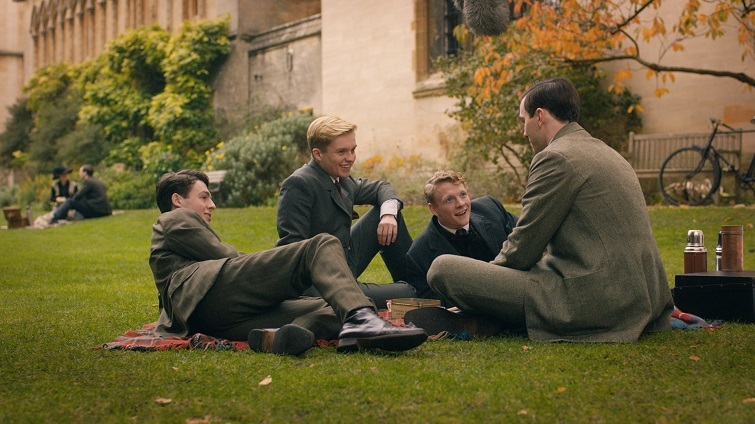 Following Tolkien (Hoult) through his formative years as a student at Oxford, where he finds love and friendship among a group of fellow outcasts – before the outbreak of World War I threatens to tear their ‘fellowship’ apart – Tolkien explores his life and the inspirations for his classic, timeless fantasy novels of Middle Earth. The screening on Sun 19th May and Tues 21st May (Parent & Babyy screening) will be shown with subtitles projected onto the screen for the hearing impaired, and these are signified by the symbol S/T on the website and in our monthly brochure. Please note all other screenings of these films are without subtitles.